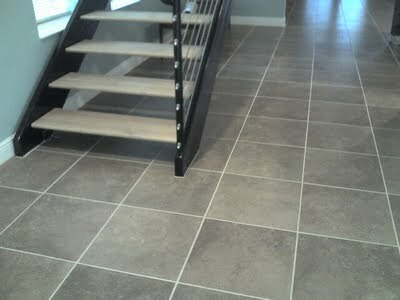 other rooms that already have tile in them that we need to tile up to. 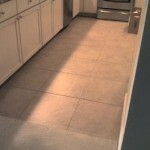 Usually a carpet or laminate area that the homeowner wants to remove and have new tile installed and the new tile we are installing will run into another tiled room (ie: kitchen, bath, hall bath, laundry, etc.). 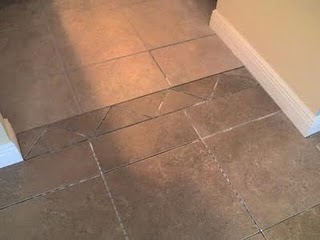 So my common practice is to direct the customer/home owner to let me install an “Indian Blanket” cut tile pattern to divide those two tiled area’s up to really define each area. 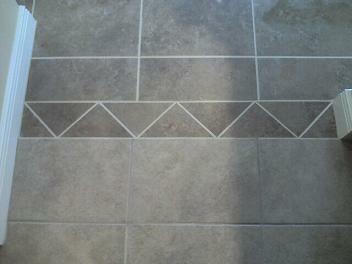 Also if by chance the grout joints almost align it would look like a failed attempt to line up one tiled area to another new tiled area. 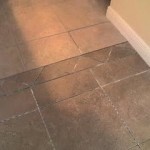 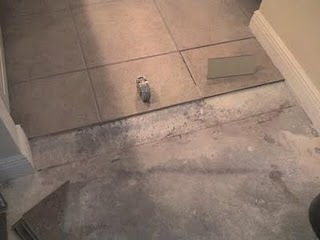 Thus this method will break up the direct grout lines. 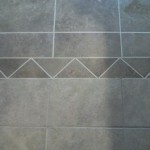 You could cut the corners off a field tile and install the diamonds side by side, use a few strips of 2×2 mosaic or even a deco tile. 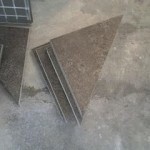 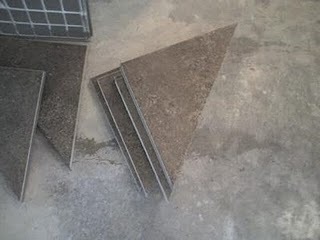 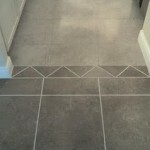 This can also be used when two types of tile run into each other in an open area like when trying to divide a straight laid tiled room into a diagonal tiled room. 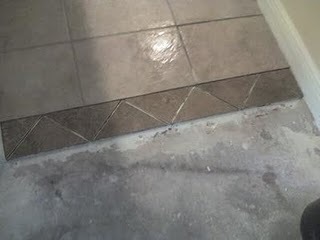 Here is a recent one we did where the homeowner wanted us to remove the carpet throughout the home and old tile in the front foyer and install a new 20×20 Porcelain tile in their town house/condo at the beach in Tarpon Springs, Florida. 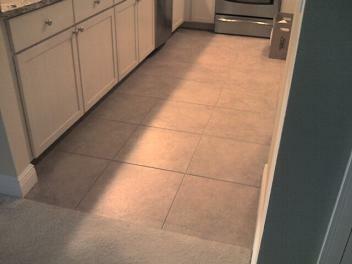 They wanted to leave the kitchen tile since it was new and they liked it. 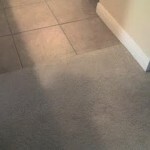 Here are few other examples of “Indian Blanket” door patterns. 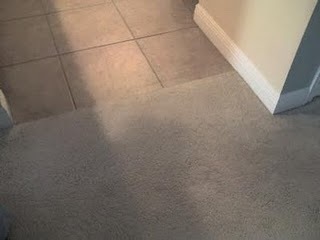 That looks gorgeous – so warm and inviting. 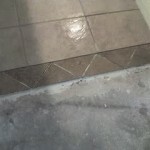 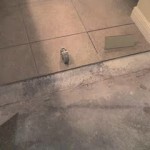 Previous post: Importance of Waterproofing a Shower…. 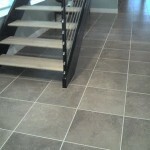 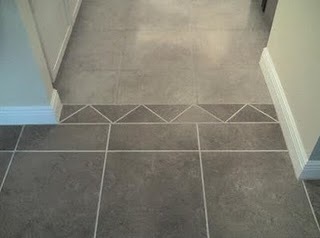 Next post: Tile Setter’s Advice….